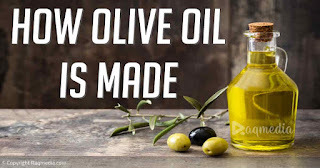 Olive Oil: What It Is and How It Is Made? Rich in vitamins like E and K as it is rich in fat. Helps fight heart strokes and keeps your heart young. Rich in antioxidants which help prevent chronic diseases. Fights weight gain and obesity. Reduces the risk of Alzheimer's Diseases. It has a proved anti-cancer properties. For all the mentioned benefits, in some cultures the olive tree is sacred and it has a special care and cherish. Now it's time to let you know how this olive oil is made or rather extracted and being packed as we know it in supermarkets.